If you’re reading this, you’ve probably decided that it’s time for your business to invest in a CRM system. In doing so, you’ve made a critical first step. The next step? Choosing the right type of CRM solution that will give your business the best and fastest ROI. We’ll start by going over the basic types of CRM systems that exist, then drill down into more specific offerings, as well as the pros and cons of each. By the end of this article, you should have a firm understanding of what type of CRM system will serve your business best. When they’re just starting out, a lot of small businesses concoct their own homegrown approaches for customer relationship management. These can look like anything from spreadsheets and bookkeeping software, to email programs that are part of the office suite found on any computer, to an ever-expanding blob of sticky notes slowly taking over your workspace. While these improvised CRM methods may work during a company’s inception, they tend to make more headaches than headway as a business matures. Data about customers and deals aren’t available to everyone which can lead to confusion. Important messages get lost in email chains. Spreadsheets become unwieldy, unmanageable, and unshareable. Information is duplicated or missing. This is why successful entrepreneurs look to true CRM solutions to bring it all together. Generally, a CRM system comes in one of two general flavours: on-premises and cloud-based (also referred to as “on-demand”). Let’s take a quick look at some of the pros and cons of on-premises and cloud-based CRM systems. An on-premises CRM system is one that lives at the business that uses it. In practice, this requires a server room (for some businesses this is literally a closet in the basement), or a computer acting as a server. Once the necessary hardware has been purchased, the in-house IT team sets up the server and installs the CRM software on it. A cloud-based CRM system is managed over the internet by a team of dedicated experts. This type of CRM system requires little to no hardware or software investment on behalf of the business. Authorised employees can simply log in and start using the CRM system from any computer or mobile device. This solution is also referred to as SaaS (Software as a Service) by the vendor that provides it. With a suite of strengths and nearly ubiquitous access to internet, it’s easy to see why a lot of businesses choose cloud-based CRM systems. But what other compelling reasons exist to look to the cloud? Lower startup costs and maintenance certainly have huge appeal for entrepreneurs when compared with traditional on-premises solutions. Salesforce, which pioneered cloud-based CRM in 1999, has virtually led the charge in making cloud computing a massive industry. With its speed and expertise, Salesforce’s cloud-based product is typically deployed by its customers 70% faster than an on-premises system. This notion of speed also applies to any issues that arise: Support technicians are often able to investigate and remedy situations in minutes. This stands in stark contrast to on-premises CRM systems that can require on-site visits by IT professionals, costing you hours or even days of revenue-draining downtime. Also important to the growth-minded entrepreneur is a cloud-based CRM system’s ability to easily scale. As your business evolves, having a CRM solution that can grow and adapt with it not only reduces your costs, but gives you greater and faster ROI. 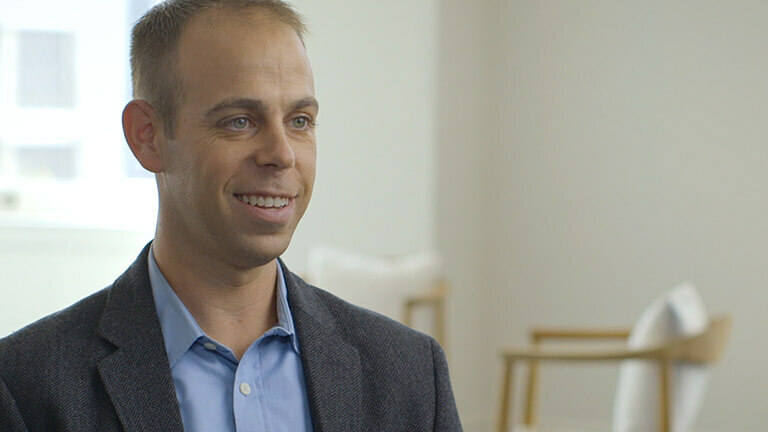 Watch Chris Marantette, President and CFO of NetRush, explain how Salesforce gives him an intelligent CRM solution as well as a powerful platform for running his business. When it comes to types of CRM systems, cloud-based CRM solutions have an impressive array of advantages to offer small businesses at all stages of growth. Lower costs, zero maintenance, simple scalability, and improved productivity will not only streamline your company’s operations and transform your business. A powerful cloud-based CRM solution like Salesforce helps drive greater ROI more quickly than you may have thought possible. If you’ve decided that cloud-based is the type of CRM solution for your business, you’re further along in your journey. The next move is deciding which of the many available platforms is right for you. The question is, what do you look for when shopping for a cloud-based CRM system? Good user experience is essential to having a business tool your employees will use to the fullest. Make sure it’s has the social and mobile capabilities they expect. Determine how much you can spend on a CRM system, then see what options fit your needs. There are a number of “freemium” options available, but they may not have the features and integration options you’ll need as you grow. What efficiencies does your business stand to gain from a particular platform? What KPIs will you use to measure success? More importantly, how quickly will your chosen CRM system pay for itself? Choosing the right type of CRM system for your employees often hinges on what they can most easily pick up and start using. Choose a platform that’s intuitive and a vendor that can help you get everyone on board. If you plan to grow quickly, an easily scalable CRM system is paramount. The last thing you want is to hit a certain level and max out your platform’s capabilities. Choose a CRM solution that you know has the power to exceed your current needs. Once you’ve found some cloud-based CRM platforms that check the boxes you need, it’s time to drill even deeper. Here are some questions you should ask any cloud vendors you’re considering before you make your investment. How has your solution helped other small businesses? Ask for examples and contact some of those customers yourself. A proven track record of success is critical. What is your online service and customer support like? Cloud outages can cost you money – make sure the vendor is reliable. Also make sure the vendor has a service-level agreement (SLA) that guarantees that the support team will respond to and resolve issues quickly. Are fees hourly, monthly, annually? Typically you’ll want a pay-as-you-go subscription model with the option to add services as needed. Get the details in writing. A faster setup means a faster return on your investment. Is this vendor offering services and integrations that are ahead of the curve? Ask for examples of innovation in the space before deciding on a CRM solution. What features are included, and can they be customised? Make sure your business requirements and goals can be met by the vendor you’re researching. What are my options if my business outgrows what I’m purchasing today? What if you add 10 employees? 100? 1,000? The right cloud solution should know exactly how to handle your new success and keep you on the path to growth. 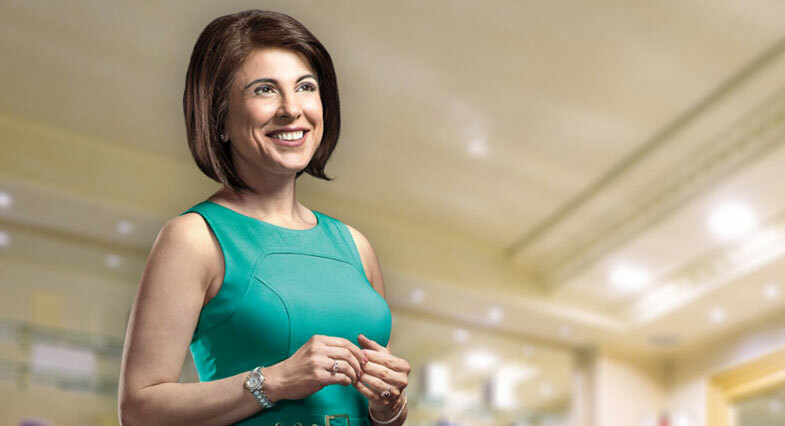 Watch Jo Mousselli, Co-Founder and CEO of Xtreme Lashes, explain how her business succeeds at the next level with Salesforce. Now that you know the types of CRM systems that there are, and how to choose one that suits your small business’s goals, you’re ready to take the next step: investing in your company’s future success. Using the evaluation criteria and questions listed above, you’ll be better equipped to find a cloud-based CRM solution that is simple to adopt, optimised to your needs, and powerful enough to deliver big ROI fast.